Tucker is an 8 year old Beagle. His nicknames are Tucky, Doody, Doosy-Bug and Nooner. His favorite toys are Winter One and Hedgie. His favorite treat is Ham. His favorite past time is looking for rabbits on his walks and his best trick is finding people when playing hide and seek. Our Dog Day Getaway Dog of The Month is Willow, she is an 18 month old Yellow Lab mix. Her nickname is Willow the Pillow. Her favorite toy is any toy she can pull on. Karmello is our Dog of the Month for January. He is a 10 year old Wheaton Terrier. His nickname is Mello and his favorite toy is his dad’s shoe. His favorite snack is salami. Kalan Cleary Miller is our dog of the month for December, she is an 8 year old collie. Her nicknames are Kali, Lamb, Lamberton, Lambie & Wolly Lammoth (I love this one). Kali is not a fan of toys she prefers people. 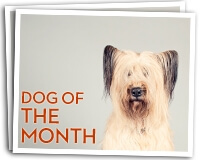 Diesel is our dog of the month for November 2013. He is a 5 year old English Springer Spaniel… and a handsome one at that. Sheba is our Dog Day Getaway Dog of The Month for October 2013, she is a one and a half year old German Shepard. Her nicknames are SheShe, FiFi, Shebad and Sheba monster. Her favorite toy is her green rubber football and her favorite treat is Cheetos.